Linn launches Series 5 speaker systems for the fashion conscious | What Hi-Fi? "People’s needs are changing. The biggest change that we’ve seen is that it’s no longer just a man who comes into a hi-fi shop saying, 'I’ll take the biggest speakers you’ve got'. It’s a couple that shops together. The home has become something that is governed by all the members of the household. I don’t like this ‘wife acceptance factor’ idea. How much? Prices vary according to aesthetic configuration. 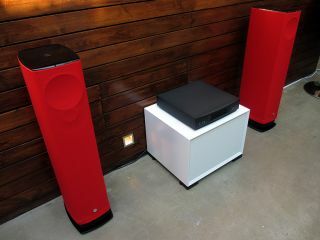 The Linn 530 system starts from £12,000 and the 520 starts from £9250.